1,000 MILES FROM NOWHERE Dwight Yoakam's latest record is his most acclaimed to date. After nearly 30 years in the business, country-roots singer-songwriter Dwight Yoakam has done it all. Platinum-selling albums only hint at the prolific work of the honky-tonk man, born in Kentucky and bred in Nashville's music scene. Though he struggled to break through early in the '80s, Yoakam soon hit it big. The man who brought traditional country back to the mainstream now has more than 20 albums to his name and recently released his most acclaimed record yet, 3 Pears. The album was hailed as a return to Yoakam's form of "hillbilly music" that incorporated his wide array of influences into a cohesive Americana sound. This fall, Yoakam, known for his rousing live shows, heads out on a national tour with BottleRock headliner Eric Church. But first he makes his Uptown Theatre debut this month when he visits the historic Napa venue on June 27. His appearance marks the beginning of an exciting lineup for the Uptown, which looks forward to hosting an impressive collection of country, blues and rock and roll artists all summer. July gets into full swing when the voice of Foreigner, Lou Gramm, performs on July 11. Two days later, Grammy-winning country singer Wynonna Judd makes her Uptown debut. Judd, who has recently taken new directions authoring a book and dancing on reality television, is still recording new material and will perform with her new band, the Big Noise. Rich Robinson, formerly of the Black Crowes, appears on July 19 with songs from his brand-new album, The Ceaseless Sight. The next day, the Uptown heads into the "danger zone" with Kenny Loggins, playing with his recently formed country rock trio, Blue Sky Riders. On July 26, another famous Kenny appears at Uptown when Kenny Wayne Shepard carries on the blues-rock tradition he learned from legends like Stevie Ray Vaughn. August continues the trend when crooner Chris Isaak plays on Aug. 8. Isaak recently moved into new rockabilly territory infused with his signature wistful and passionate style. It's a move the songwriter has wanted to make for decades, and his latest release has been his most acclaimed. Aug. 15 sees the wild card in this season's lineup when Idaho indie rock icons Built to Spill play. Sure to be the loudest show of the season, Built to Spill cap off a hot summer of shows at the Uptown Theatre. 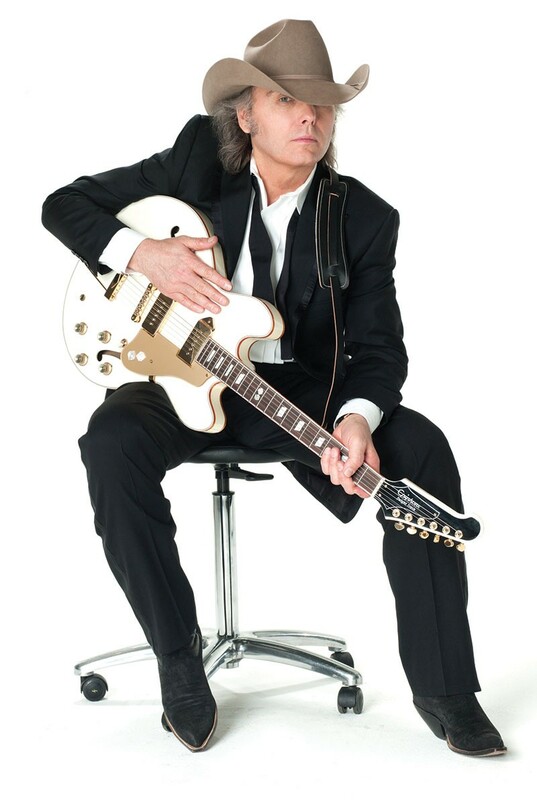 Dwight Yoakam performs on Friday, June 27, at the Uptown Theatre, 1350 Third St., Napa. 8pm. $65–$105. www.uptowntheatrenapa.com. 707.259.0123.